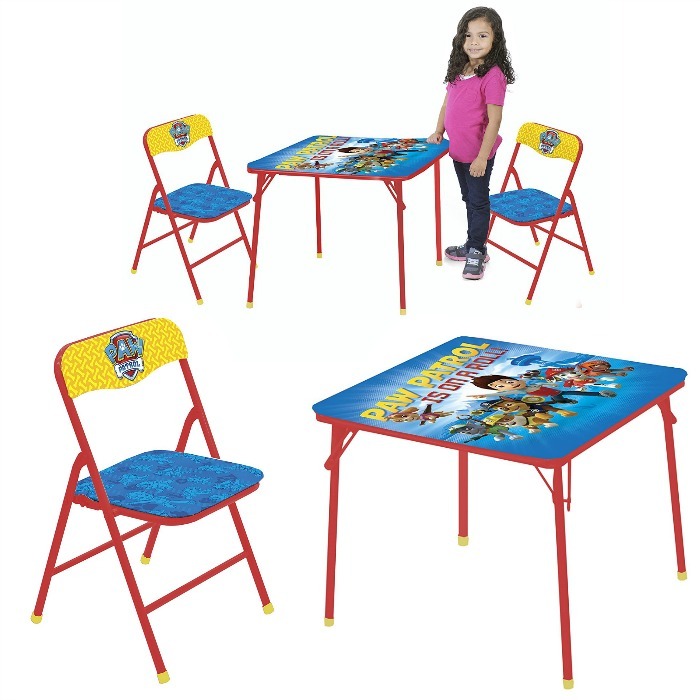 3-Piece Paw Patrol Table Set Just $24! Down From $41! You are here: Home / Great Deals / Amazon Deals / 3-Piece Paw Patrol Table Set Just $24! Down From $41! Amazon has this 3-Piece Paw Patrol Table Set for just $24 (Reg. $41)! Paw Patrol is on a roll! Your child will love to do all of his home work and activities at the Nickelodeon Paw Patrol Table and Chair Set. The set contains a foldable table and two padded chairs. The sturdy metal frame is foldable – easy storage when your child is not using it. Chair Dimensions: 10.5″ L x 12.13″ W x 20″ H. Table Dimensions: 24″ L x 24″ W x 18.5″ H.